Can’t make it to the wedding of the year? Let the happy couple know with this gracious card from Happy Jackson. 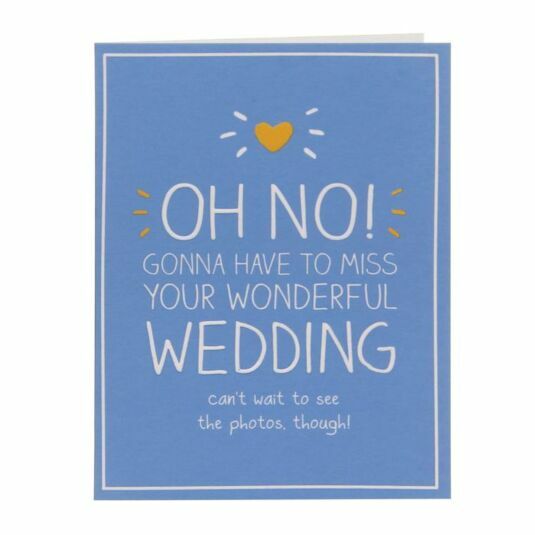 This card reads Oh no! Gonna have to miss your wonderful wedding. Can’t wait to see the photos, though! The card is blank on the inside ready for you to write your own message and comes with a yellow envelope.